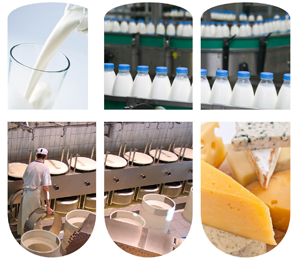 One of the most complex food processing markets is Dairy. There are regulatory requirements, and constant challenges with pathogen control, spoilage microbes, shelf life challenges and the training of personnel to effectively manage the program. It is multifaceted and can't operate effectively without a comprehensive food safety program and a partner that understands the dynamics and can provide the right solutions. Our HACCP-based BrandGuard® Food Safety Program follows the principles of the Global Food Safety Initiative and tailors a program to your unique challenges and needs including brand protection and sustainable solutions.